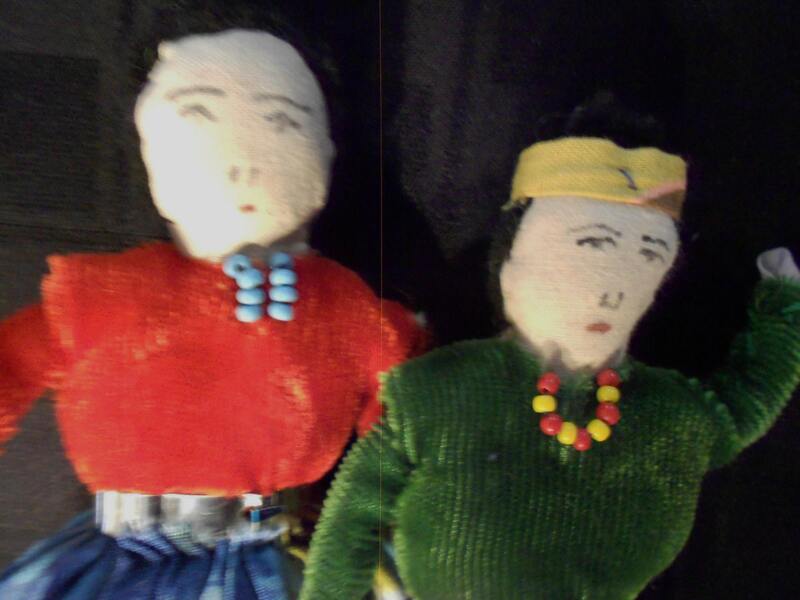 This is a lovely couple of Navajo dolls from the 40's or early 50's. These were largely sold on Route 66 in Arizona. They continued to sell them in the 60's but many had plastic heads by then. Both are wearing velvet shirts and silver metal belts. 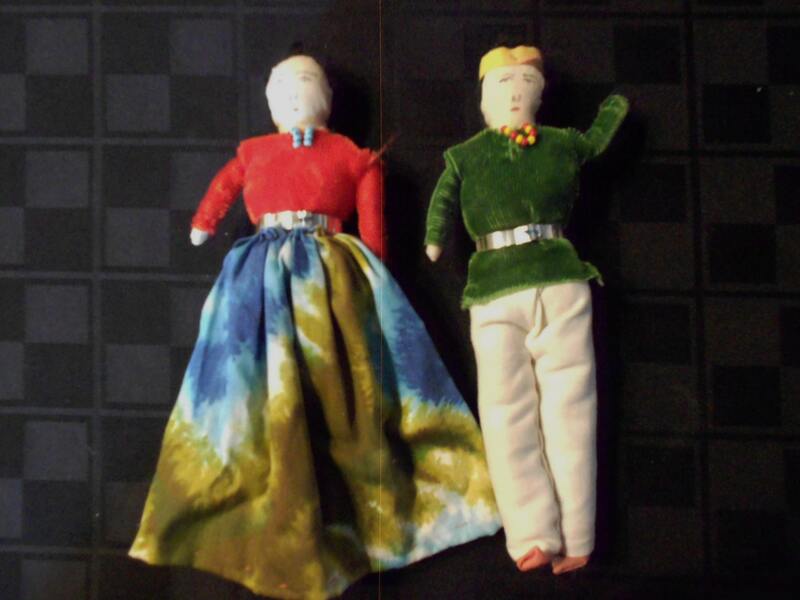 She has a cotton skirt and he muslin pants. The shoes are cardboard and plastic. 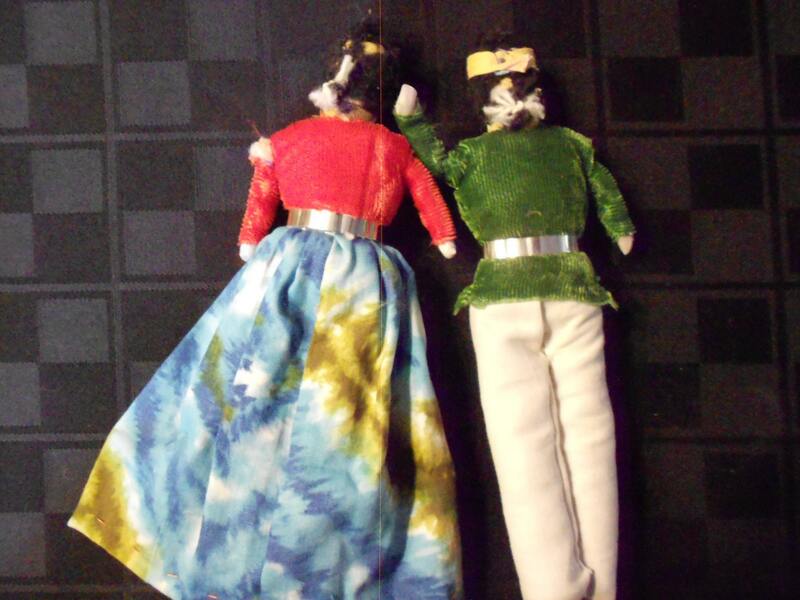 Both have beads around their necks and hand painted faces. They are stuffed cotton so they are flexible and were sold to be played with by children. They are 7.5" tall and in great vintage condition. The only problem with the female is one of her sleeves has come unsewn and her hair has been worn off in the back. The only thing wrong with the male is that some of his hair has worn off in the back. 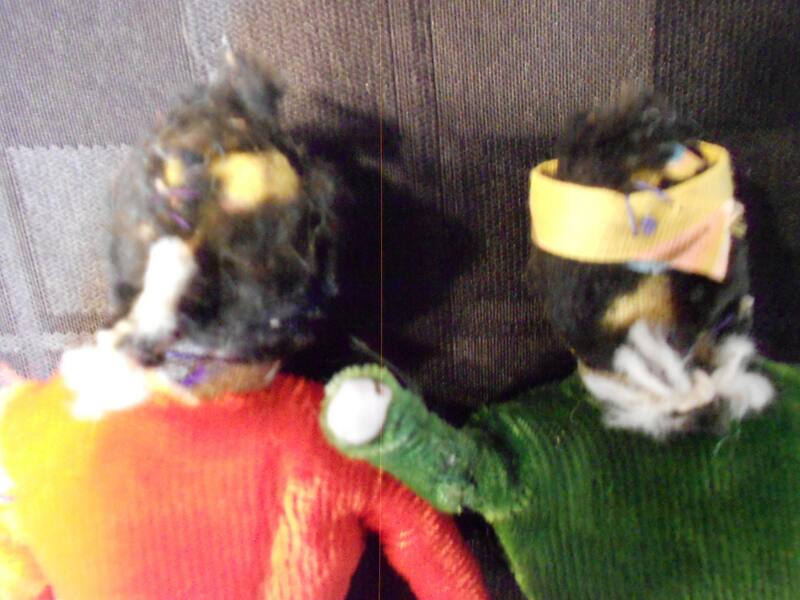 I believe that fuzzy thread they used for the hair just kind of disintegrated. These are an awesome thing to have if you traveled on Route 66 back in the day, like folk art, Indian or Navajo crafts or just think they are cute.